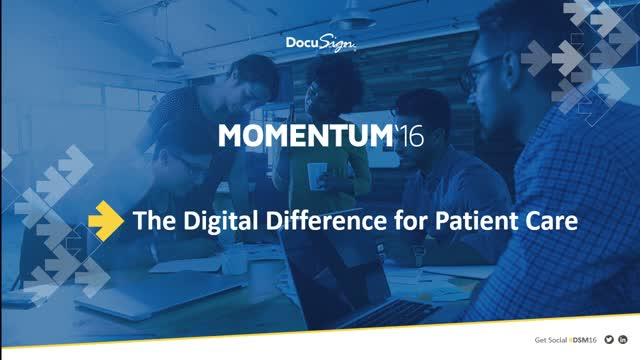 Watch this recorded session from Momentum 2016 to learn how our customers’ digital health is redefining research and patient care. By using digital workflows, approvals and signatures help them make timely decisions and get patients the treatment they need sooner. You will also hear about the benefits of digital adoption in academic research and lab sites, DocuSign for Salesforce implementation, and research demonstrating the impact of digital vs paper.